The main problem of solar eclipse photography is the enormous contrast. 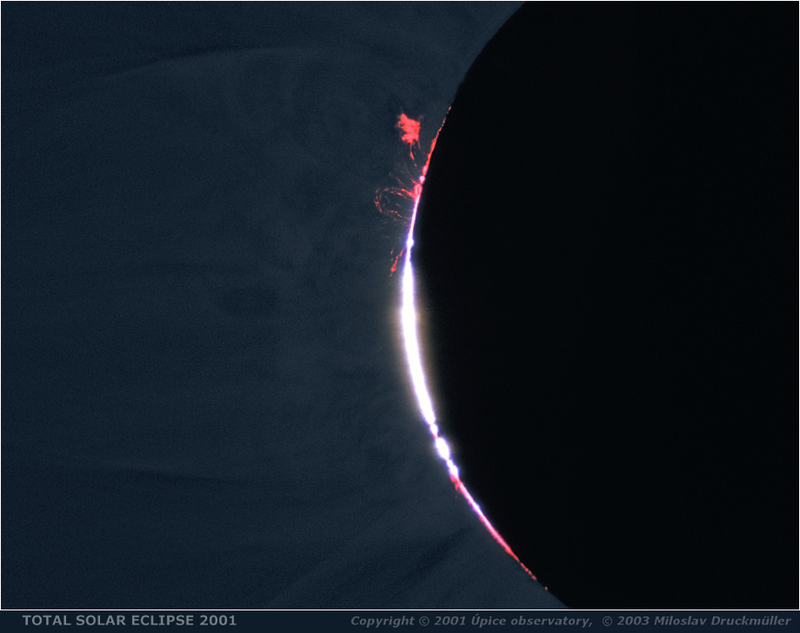 Baily's beads (photosphere) to corona have brightness ratio over 1 000 000 : 1. It is obvious that neither film nor digital camera are able to manage this contrast. The only way how to obtain an image similar to that you may see during the eclipse is to use composition techniques and adaptive filters. This image was created using one image of Baily's beads taken near the second contact and eight more images with longer expositions processed by means of adaptive kernel convolution in order to suppress high contrast and enhance fine coronal structures.